There is something to be said about an investment garment ....classic design, good fabric, versatile, great fit, makes you feel good and last but not least stands the test of time. I try to avoid throwaway fashion, here today and gone next year and tend to stick to garments that will work well in my wardrobe over time and offer versatility. In comes my all time favorite, the wrap dress. 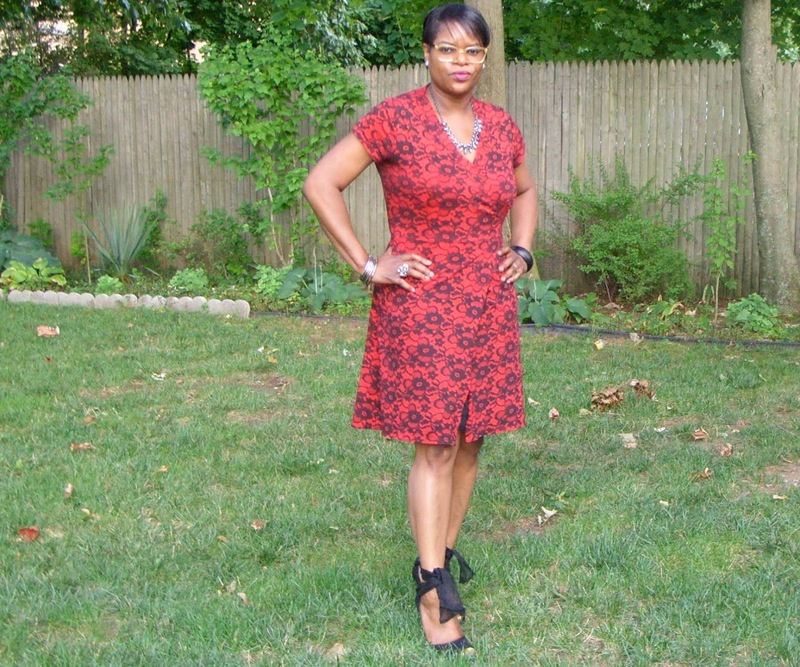 I've made at least a dozen of them and they continue to give me a good return on my sewing time and money... so yes, my wrap dresses have been anointed the investment garment status. This dress was made back in 2012 ... fairly young, but for the last 2 years has shown that it is an investment garment, wears well after a 12 hour day, versatile and has awesome washing machine stamina. Investment garments don't have to be your standard black tailored suit or lil black dress. A great print paired with a classic design works just as well. Of course, I am not afraid to revitalize an investment garment, who is to say that it can't be done. If your investment garment has good bones, but needs revitalizing.. . Assess It, Cut It, Sew It Rock It. Very cute and I love the fabric! Gorgeous. Again, I just love your style and choices.